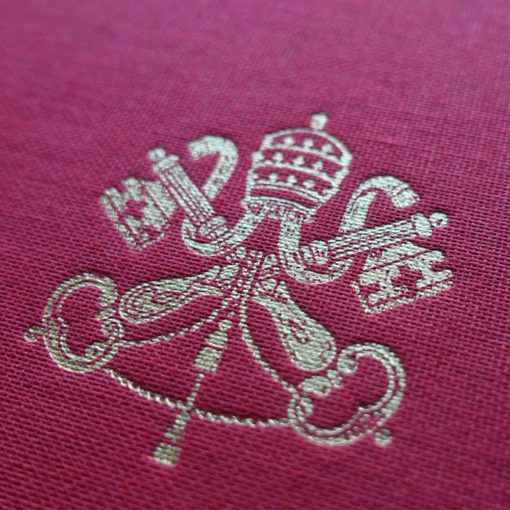 Text of the agreement signed at Rome during the meeting between His Eminence Josef Cardinal Ratzinger and His Excellency Archbishop Marcel Lefebvre. The Archbishop renounced the protocol before proceeding with episcopal consecrations on 30 June 1988 in the absence of a pontifical mandate and against the wishes of the Supreme Pontiff. 5. Finally, we promise to respect the common discipline of the Church and ecclesiastical laws, especially those contained in the Code of Canon Law promulgated by Pope John Paul II, without prejudice to the special discipline granted to the Society by particular law. Keeping in mind the fact that the Priestly Society of St. Pius X has been conceived for 18 years as a society of common life – and after studying the propositions formulated by His Excellency Marcel Lefebvre and of the conclusions of the Apostolic Visitation carried out by His Eminence Cardinal Gagnon – the most suitable canonical form is that of a Society of apostolic life. This is a solution which is possible under canon law, and it has the advantage of allowing the insertion of lay people into the clerical Society of apostolic life (for example, cooperating Brothers). 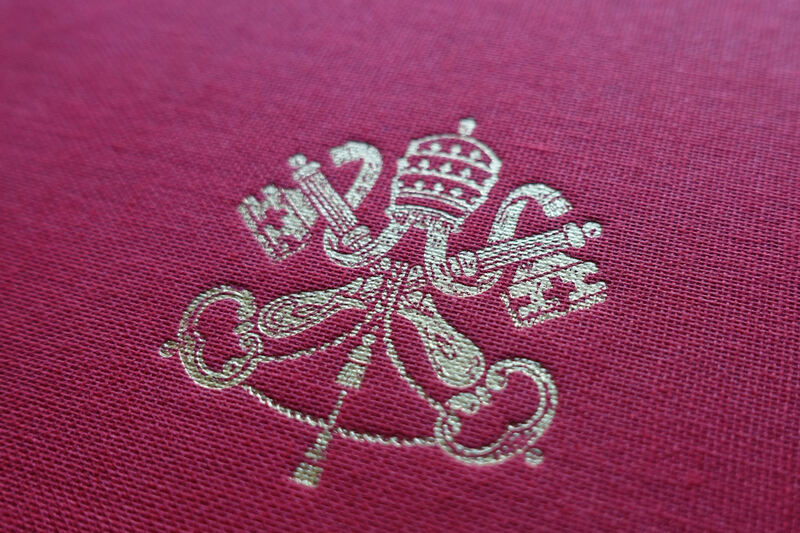 According to the Code of Canon Law promulgated in 1983, canons 731-746, this Society enjoys full autonomy, can form its members, can incardinate clerics, and can assure the common life of its members. In the proper Statutes, with flexibility and inventive possibility with respect to the known models of these Societies of apostolic life, a certain exemption is foreseen with regard to the diocesan bishops (cf. can 591) in matters having to do with public worship, the cura animarum (care of souls) and other apostolic activities, keeping in mind canons 679-683. As for jurisdiction with regard to the faithful who have recourse to the priests of the Society, it will be conferred on these priests either by the local Ordinaries or by the Apostolic See. This commission will be composed of a President, a Vice-President and five members, of whom two will be from the Society. Among other things it would have the function of exercising vigilance and lending assistance to consolidate the work of reconciliation and to regulate questions relative to the religious communities having a juridical or moral bond with the Society. 3.1 The members of the clerical Society of apostolic life (priests and cooperating lay brothers) are governed by the Statutes of the Society of Pontifical Right. 3.2 The oblates, both male and female, whether they have taken private vows or not, and the members of the Third Order connected to the Society, all belong to an Association of the faithful connected with the Society according to the terms of Canon 303, and collaborate with it. 3.3 The sisters (that is, the Congregation founded by Mons. Lefebvre) who make public vows; they constitute a true institute of consecrated life, with its own structure and autonomy, even if a certain type of bond is envisaged for the unity of its spirituality with the Superior of the Society. This Congregation – at least at the beginning – would be dependent on the Roman commission, instead of the Congregation for Religious. 3.4 The members of the community living according to the rule of various religious institutes (Carmelites, Benedictines, Dominicans, etc.) and who are morally bound to the Society; these are to be given, case by case, a particular statute which will regulate their relations with their respective Orders. 3.5 The priests who, as individuals, are morally connected to the Society, will receive a personal statute taking into account their aspirations and, at the same time, the obligations deriving from their incardination. The other particular case of the same nature will be examined and resolved by the Roman commission. As for the lay people who request the pastoral assistance of the communities of the Society: they will remain under the jurisdiction of the diocesan bishop, but – notably by reason of the liturgical rites of the communities of the Society – they will be able to turn to them for the administration of the sacraments (for the Sacraments of Baptism, Confirmation and Marriage, the usual notifications must still be given to their proper parish priest; (cf. can 878, 896, 1122). 1. The question of the reception by lay people of the sacraments of Baptism, Confirmation and Marriage in the communities of the Society. 2. The question of the communities which practice the rule of this or that religious institute without belonging to it. It will be in the competence of the Roman commission to resolve these problems. For the ordinations scheduled to take place in the immediate future, Archbishop Lefebvre would be authorized to confer them or, if they were unable, another bishop accepted by him will be authorized. 4.2.1 In so far as possible, and within the judgement of the Superior General, the normal path is to be followed: to send dimissorial letters to a bishop who agrees to ordain members of the Society. 4.2.2 In light of the particular situation of the Society (cf. infra): the ordination of a member of the Society as a bishop, who, among other responsibilities, would also be able to proceed with ordinations. 5.2 But, for practical and psychological reasons, the consecration of a member of the Society as a bishop seems useful. This is why, in the context of the doctrinal and canonical solution of reconciliation, we suggest to the Holy Father that he name a bishop chosen from among the members of the Society, presented by Archbishop Lefebvre. In consequence of the principle indicated above (5.1), this bishop as a rule is not the Superior General of the Society. But it seems opportune that he be a member of the Roman commission. – Lifting of the suspensio a divinis on Archbishop Lefebvre and dispensation from the irregularities incurred by the fact of the ordinations. – Sanatio in radice, at least ad cautelam, of the marriages already celebrated by the priests of the Society without the required delegation. – Provision for an “amnesty” and an accord for the houses and places of worship erected – or used – by the Society, until now without the authorization of the bishops. Source: Robert Moynihan, “The Curia’s Dilemma”, The Latin Mass, November/December 1993, pp 4 and 42.